In 1913, a group of Spanish businessmen proposed the building of a cable car across the width of the Whirlpool from the Canadian edge of the gorge back to the Canadian edge of the gorge. The permission of the Niagara Parks Commission, State of New York and US Government needed to be obtained before construction began. The US officials needed to grant permission because the proposed route momentarily crossed the international border. The Spanish Aero Car was built in Bilboa, Spain. It was designed by Spanish engineer Leonardo Torre-Quevedo. The basic design was based upon a similar cable car at Mount Ulia in Spain. The Spanish Aero Car was designed to travel 539 m across the Whirlpool from Canadian terminus at Colt’s Point to Canadian terminal at Thompson Point, at a height of 76 m above the surface of the turbulent waters. The Aero Car has a capacity of 40 persons. The Spanish Aero Car operates on a back and forth principal. It is propelled by a single 60 horsepower engine which drives a 2.23cm steel looped cable. It is suspended by six – 2.54 cm steel cables. Each cable is attached to an anchorage at one end while tension is maintained by a 10 ton counterweight at the other end. To get the wires across the whirlpool, small lengthy ropes were attached in increasing diameter to the cables. The ropes were walked on land around the Whirlpool from Colts’ Point to Thompson Point. Each rope was then hoisted the cable to there current locations and height. A small Buck engine powered the Spanish Aero Car for the first forty-five years of service. The Spanish Aero Car began operation on August 8th 1916, and since then, there has never been an accident or injury. The initial installation cost was $120,000. In 1961, the Spanish Aero Car was purchased by A. Blake Robertson. Robertson installed a system of electromagnetic brakes and hand operated brakes acting upon a fifteen inch diameter brake drum. These new brakes automatically stopped and held the Aero Car at the station or in the event of a power failure. Other improvements included a modern 60 horsepower gasoline engine connected by a chain drive and friction clutch. This replaced the old Buck engine power system. In 1968, Mr. Robertson sold the Spanish Aero Car to the Niagara Parks Commission. In 1984, the Niagara Parks Commission conducted an extensive overhaul of the Spanish Aero Car which included replacing the wheels, cables and electrical circuits. The original cables lasted thirty-five years before being replaced. In case of any emergencies, a small rescue car is kept inside the cave at the Thompson Point terminus. The rescue car can hold six persons and was installed as a backup unit in 1985. During the Winter of 1999-2000, the Niagara Parks Commission operated the Spanish Aero Car for the first time on a year round basis. The Aero car was specially outfitted for cold and inclement weather with a Plexiglas enclosure to protect riders from the outside elements. This ended the following year because of financial constraints and a lack of riders. 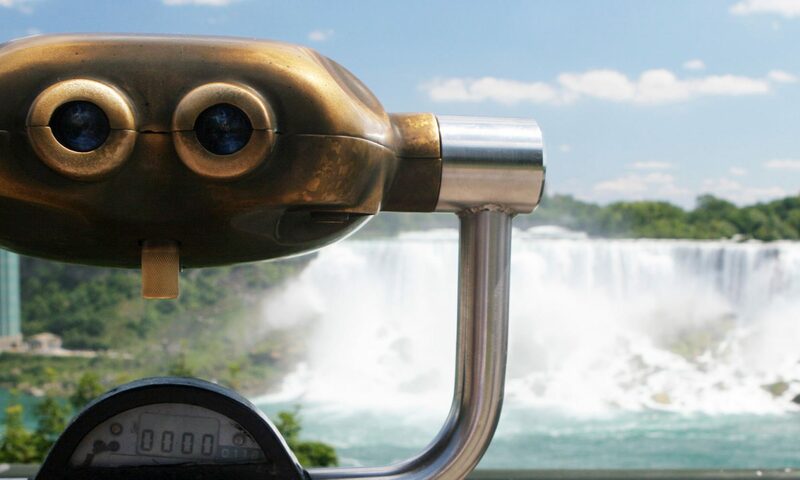 In 2004, the Niagara Parks Commission changed the name of this attraction from the Spanish Aero Car to the Whirlpool Aero Car.